Throughout 2016, I was so proud of my brides for having the strength and confidence to completely be themselves. Sure, we looked at Pinterest to see other wedding ideas and toss around inspiration, but Emilee was one such bride who embodied a mature confidence and I so admired her for it. I have been excited to share photos of this wedding ever since the moment I saw Emilee's long-sleeved silk wedding dress from Stone Cold Fox. Emilee and Aaron love grey and a more minimal, modern style, so we chose light grey linens, white napkins, and lined their head table with copper lanterns from Anthropologie and eucalyptus runners from La Fleur du Jour. Paired with walnut chiavari chairs, this juxtaposition of garden-inspired and modern elements suited their individual styles but also merged them into one. 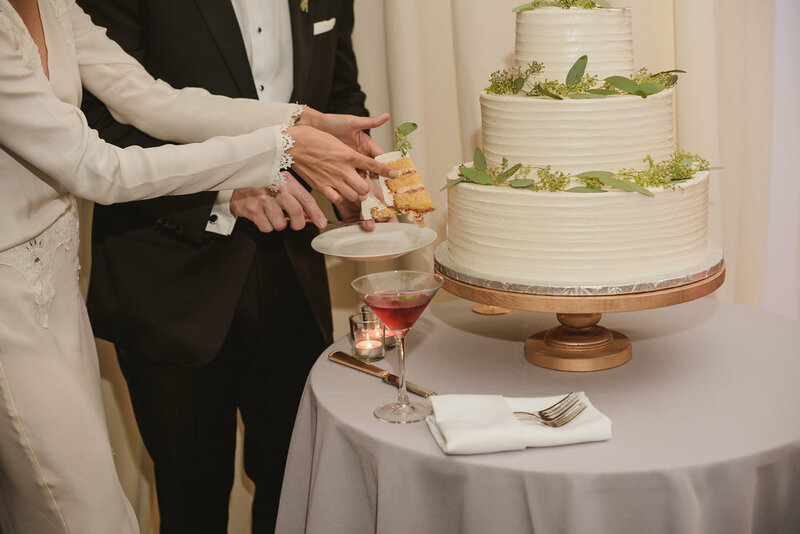 Emilee and Aaron live in Frederick, Maryland, so they chose to hold their ceremony at their local church and then travel into Baltimore City for their wedding reception at the Legg Mason Tower in Harbor East. 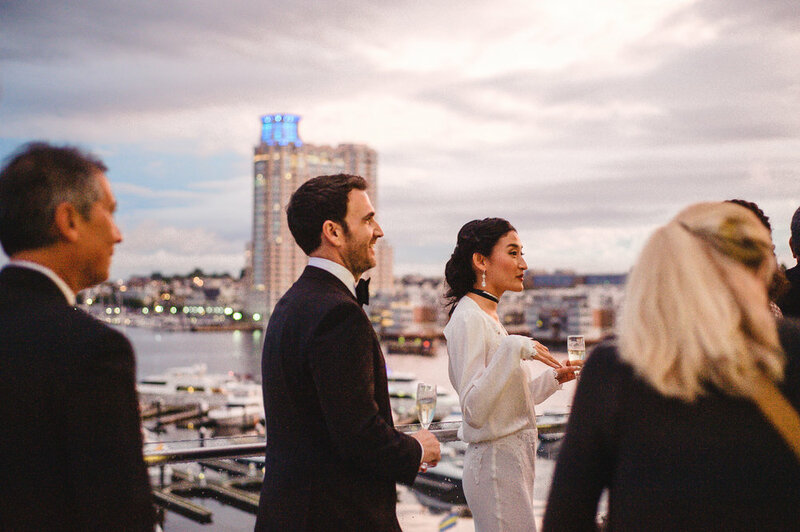 I've found that even some Baltimore residents are unfamiliar with this venue since it is used as meeting space for the Johns Hopkins Business School, but the main "ballroom" has floor to ceiling windows and a killer view of the Inner Harbor (with an outdoor patio to really enjoy it!) The sunset lighting was gorgeous for this early October wedding after it had rained earlier in the day. Lucky us to have gotten to enjoy such a gorgeous day with this amazing couple!